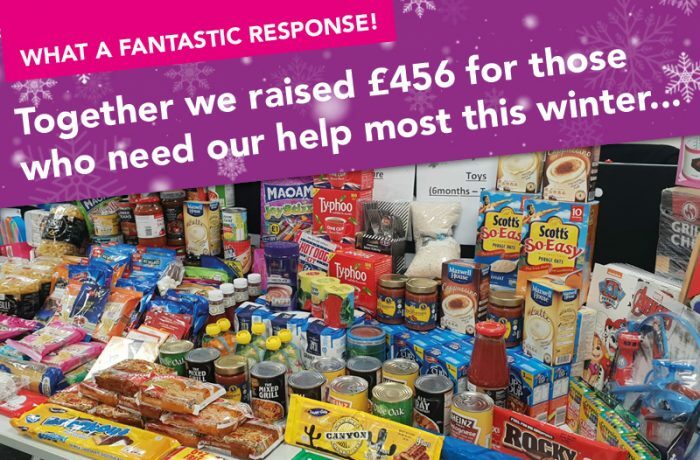 Rapid Response can announce we have raised over £456 from our Colchester & Tendring Women’s Refuge winter charity appeal. We had a fantastic response from local people, businesses and our very own Rapid Response team. As you can see from the collection, the people who need support from the community will benefit from an abundance of groceries, toys and sweets for the children, clothing, and every conceivable household item you can think of, all will prove very useful for people who reside under the protection of the refuge to live a safe and normal life. The management team also agreed to double the value of the collection, which will help the refuge purchase other necessities for the residents. Once, again a huge thank you to everyone who contributed, and the incredible response was certainly very much appreciated by all.